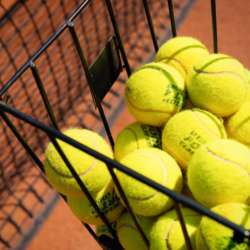 You must be a member of the Hamburg Tennis Group to attend this activity. Would you like to join this group? Please contact your consul previous to the registration in case of any doubt. Please consider that the consuls commit to paying the fees at our own risk. Total costs for trainer and court will be split between participants. Consuls are not part of the training. Confirm only If you are sure that you are coming and are in this player category. We do have what's up group for easier communication. Feel free to share your number with us.